The Young African Leaders Initiative is saddened and disappointed by continuing impasse between the 3 Church mother bodies and the Zambia Center for Inter-party Dialogue regarding the Dialogue Process. 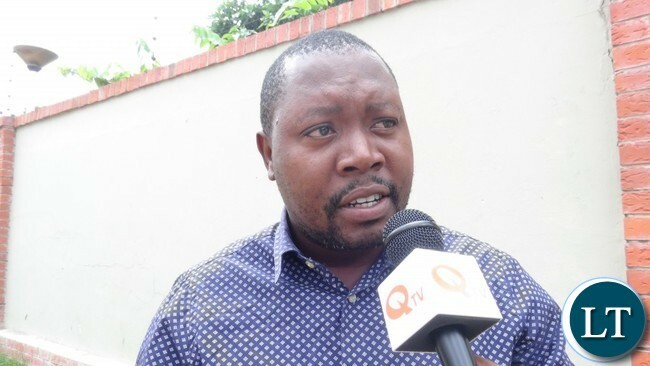 YALI President Andrew Ntewewe says he is not surprised that the process has collapsed as this was bound to happen because of lack of clarity on the nature of the Dialogue and the overall objective of this process. He said YALI has noted the confusion that has surrounded the dialogue process with great dismay. “Initially, the debate surrounded who was to lead and facilitate the Dialogue. When the matter had been settled by agreement that the Church should lead and ZCID should facilitate, suddenly other peripheral issues emerged”, Mr. Ntewewe has said. He said the key reason for the breakdown of the dialogue process has been the lack of cooperation, communication and harmony between the two Facilitators, namely the church and ZCID. Mr. Ntewewe said this lack of cooperation has caused serious problems in identifying and defining what the overall objective and agenda of the Dialogue is supposed to be. He said the Basic questions such as the nature, composition and the longevity of the Process have not been adequately addressed. “Our view as Young African Leaders Initiative, is that the biggest problem with this dialogue is the complete misunderstanding of what the process of dialogue is supposed to be about. Dialogue basically means engaging with a view to resolving a pending matter”, he said. Mr. Ntewewe noted that this engagement has been mistaken for an elaborate and expansive process to deal with a crisis and would, by some accounts, take two or more years to complete. He said the Dialogue being espoused here, is the process which would generally happen in a country which has come from a war or a situation of internal civil unrest. “Zambia is not and has not been at war. We do not have a crisis! The institutions of governance are intact and performing reasonably well. We have our challenges but the church should not create an impression that there is a crisis or civil unrest that requires resolution. There is no breakdown of the rule of law”, he added. He said going by the resolutions of the Siavonga meeting which brought together the Secretaries General of our political parties, the key thematic areas that require dialogue are; Constitution reform, the Public order Act, Electoral reforms and Promotion of civility in politics. If one takes a closer look at these key thematic areas, ones quickly realises that they are legislative in nature”, he said. Mr. Ntewewe has since challenged government not to abdicate its responsibility of making and amending laws through the constitutionally established parliamentary process. He noted that the dialogue under the joint auspices of the church and ZCID, would only be consultative, for the purpose of engaging citizens in discussing the proposals regarding the government’s proposed legislative agenda with regard to ironing out the wrinkles in our Constitution. Mr. Ntewewe says YALI, reject any such attempt to distract Zambia’s focus from the important business of constitutional, legislative and other reforms which should be the sole focus of any national dialogue. He said government should then quickly start the consultative processes on electoral and other reforms which must include amendment of the Public Order Act to ensure a level playing field for all our political parties. “We demand that these pieces of legislation be tabled in Parliament before the end of this year, 2019. We also encourage the Head of State to hold meetings with all various political parties. These meetings should be held in the confines of State House to ensure an orderly atmosphere, so that the perceived differences between and among our political actors, should be narrowed or eliminated altogether”, he said. Mr. Ntewewe has further called on the Church to continue with its Biblical duty of praying for Zambia so that Zambians can continue to live in peace with one another as they have done the past 54 years. “As for ZCID, your mandate is clear; continue to provide a platform for political parties to exchange ideas but most importantly, exert yourselves even further to promote civility in politics”, he added. Ba UPND always trying to divert attention to non issues. The guy is here speaking sense that this dialogue process is a sham and failed process and u busy trying to divert attention. This whole project of the dialogue, as i see it, has taken new twist to route for regime change with some church bishops and these traditional Pentecostal at the centre of it? The light is becoming clearer and clearer. The dialgue is being funded by Hakainde. No wonder they don’t want ZCID to see the dialogue bank account. These YALI guys are very good with their analysis…….surely what’s gge dialogue for? This dialogue will never yield any results except for allowances and 15 min glories in the limelight. Its just unfruitful chatter like Most Zambians have ngabakolwa. Example given (e.g.) the ZCID Siavonga conference was a waste of space and time. Zero results. The Church bodies have never been united and are very suspicious of each other, ZCID has no spine, No political party in Zambia ever listens and cooperates with any other but themselves- some do not even agree within themselves. Bachakolwa would actually come up with a more untied front than this so called national dialogue… At least bachakolwa know who should buy the next round olo bakolewe bwanji. Ntewewe you definitely know how to make your money . You have even reached up to the level of instructing Lungu! Who funds you apart from PF? On point, Amdrew. Those issues on the agenda of dialogue can only be sorted out by parliament. The best platform for exchanging ideas is actually ZCID. Catholics want to subvert ZCID and take centre stage. YALI and other such organizations should really engage the ZCID to help it realize its importance. Guys learn to think with your brains not with few coins of silver. Are you sure most of the PF MPs can contribute objectively. Well written article by Mr Ntewewe. There is little else to add to your contribution on this matter. Church is about to set DRC on fire because of its political interferance. No CMB in politics but must be conducting prayers in church otherwiss it is just fuelling hate devisions. This Andrew Ntewewe guy and his YALI are full of wisdom and speaks sense all the time.